Join the FUN! Check out these 2019 events! We have a mix of paid and non-paid events throughout the year. All fees go towards running the association, purchasing prizes and for pay out winnings. We’re non-profit and there are no paid positions in our organization. We try to keep any fees very low to encourage participation. NOTE: You MUST be a member of the Minnesota Kayak Fishing Association to be eligible for our tournaments. You must fish the waters of Minnesota, North Dakota, South Dakota, Iowa or Wisconsin or the specific waters designated for destination tournaments. All entries will be verified as having a member account. Any entries not associated with an active MNKFA member account will be disqualified. Increase your confidence and learn all about participation in kayak bass fishing tournaments. Learn how scoring works and how to best take photos for submission. 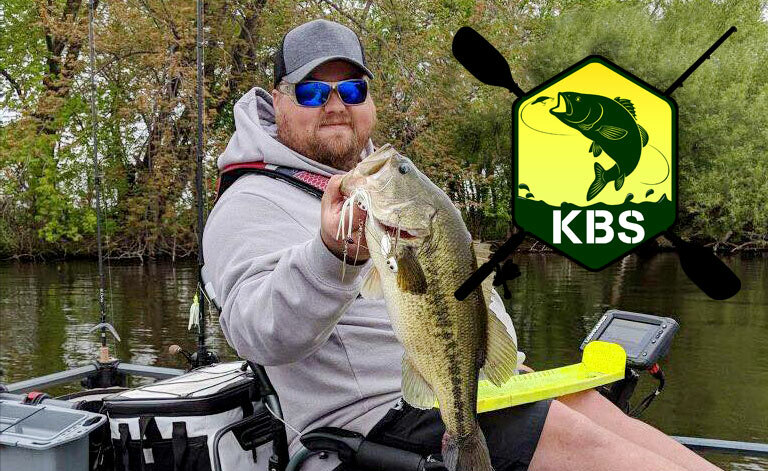 Learn tactics and strategies to make the most of the 2019 KBS season. This event will be held about a month before the Lake Sakatah, MN KBS event. Come ready to ask Grant Carston any questions. This will be tons of FUN! Enjoy tips, tricks and videos to get you started on your kayak fishing adventure! 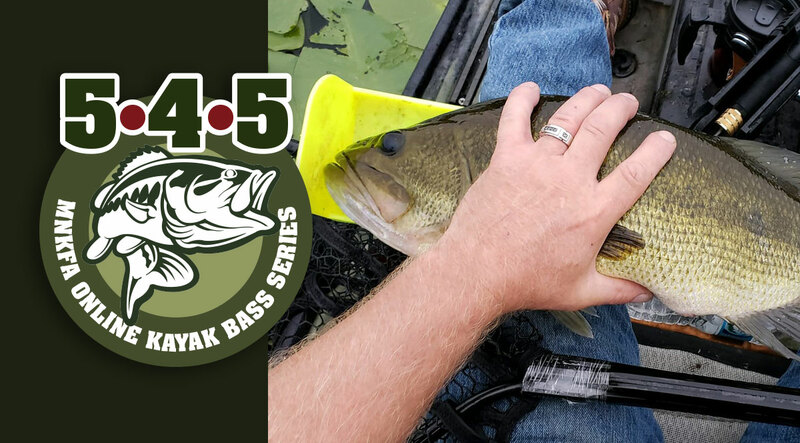 We’ll help you pick out your first or next kayak and help you rig it with gear and teach strategy for picking and fishing the best lakes for trophy fish. From proper storage to choosing lures. Don’t miss this exciting presentation from Tony Heimkes and the Minnesota Kayak Fishing Association. Actual dates will be determined by monitoring ice off conditions. Come for all of the time or pick the days that work for you. Last year some people fished Friday through Monday. Some fished Saturday and Sunday only. It’s up to you. Want to land huge Northern Pike from your kayak? Northern Pike season never closes on Lake of the Woods. The Pike move into the shallow bays to spawn soon after ice out. This is a huge opportunity to be surrounded by lots of large pike. Lake of the Woods is known for trophy class Northern Pike. 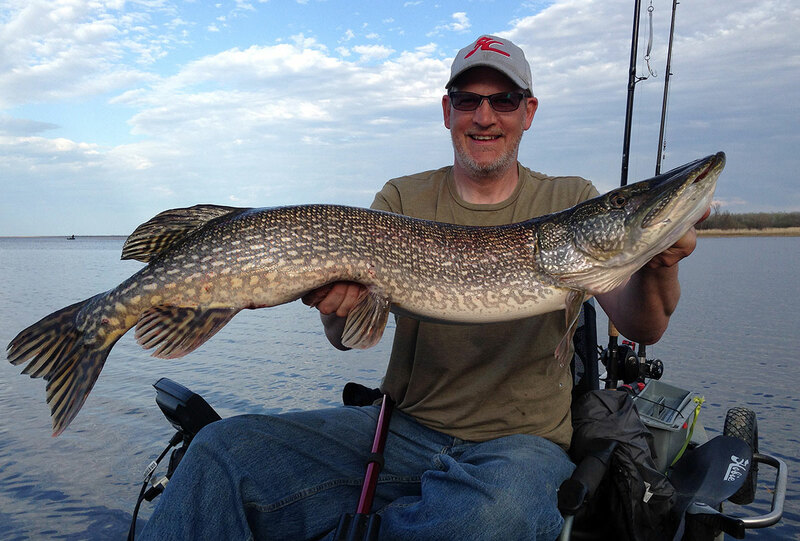 Last year the biggest Pike caught by our group was a 40″ inch fish by Todd Kewatt, shown above. This trip is a great way to start off your kayak fishing season! MN DNR info: Lake of the Woods is managed for a high-quality northern pike population, with a significant component of “trophy” northern pike over 40 inches long. The northern pike population continues to be one of high quality, with 19% of the adult population at least 35 inches long, and 5% of the adults 40 inches long, or longer. We’ll be staying at Ken-Mar-Ke Resort. The resort is on Bostic Creek. It’s just south of Cyrus Resort shown on the image below. Last year, our group spent most of our time fishing at mouth of the creek or out in the bay. The bay is somewhat protected on 3 sides by land. That helps with any rough weather conditions. If you have any questions or comments, enter them below. Winner is the person who signs up, and sends a valid photo of the biggest walleye or northern pike by length. We’re going to run this tournament for 9 days. You get 2 full weekends to fish…and all the week days in between. Get out there and get a big walleye or northern and send in your pics! This is an online tournament. You can send a photo of a 19 inch pike one day, then replace it with a bigger 23 inch fish a day later! We’ll post the top 3 entries on this page and facebook so everyone knows the score. By clicking the agree box on the form below, you agree and understand the rules and agree to the following release of liability. 4. I, for myself and on behalf of my heirs, personal representatives and next of kin, hereby release, indemnify and hold harmless and agree not to sue, the Minnesota Kayak Fishing Association, its officers, officials, agents, and/or employees, sponsors and advertisers, and if applicable, owners and lesser of premises used to conduct the event. I HAVE READ THIS RELEASE OF LIABILITY AND ASSUMPTION OF RISK AGREEMENT AND THE RULES GOVERNING THESE EVENTS, FULLY UNDERSTAND THEIR TERMS, UNDERSTAND THAT I HAVE GIVEN UP SUBSTANTIAL RIGHTS BY SIGNING IT AND SIGN IT FREELY AND VOLUNTARILY WITHOUT ANY INDUCEMENT. I further agree that by typing my name in the provided space of the electronic entry form constitutes your legal signature and is the same as you signing this agreement by hand. PARTICIPATION AND ELIGIBILITY. Participation is open to anyone 18 years of age or older. Minors are eligible to participate with a parent or legal guardian signature on the release form. A completed entry form and waiver must be received no later than the published entry date. The responsibility and safety for said minor is solely that of the signing parent or legal guardian. Parent and or legal guardian holds harmless Minnesota Kayak Fishing Association and their officers, sponsors, advertisers and employees. Minors must contact us for entry requirements. Minor may NOT complete the form entry below, if they do, they are automatically disqualified for lying on an MNKFA form. Interpretation of these rules will be left exclusively to tournament officials whose decisions are final. 1. Registration: Registration for The MNKFA Minnesota Pike Opener 2019 tournament will close Friday, May 10, 2019 at 3:00pm central time. MNKFA reserves the right to close registration at any time for reasons in the best interests of the club. 2. Requirements: A pdf image will be emailed to all participants at 3:00pm CST 05-10-2019. Print this letter size sheet, put it in a zip lock bag and place in the photo with your catch. Your photo must include a fish measuring device like a Hawg Trough or similar measuring device. You may pinch the tail, the mouth of the fish can be open or closed and at the bottom of mouth touching the left edge of your measuring device. The ruler marks must be easily legible in the photo submitted. The printed tournament pdf image must appear in each photo submitted. ANY alteration that promotes products or services added to the control image will be immediately disqualified! Failure to include this control image will disqualify your entry. For further information on photo measuring requirements, click here (opens in a new window). 3. Start and Finish Times: Tournament will begin at 12:01 am CST 05-11-2019. End of the tournament will be at midnight CST 05-20-2019. All photo entries must be emailed and received by by the end of the tournament. We are NOT responsible for ANY submissions that are not in my email box by midnight, 05-20-2018. We advise you to send earlier. NO exceptions will be made. 4. Catch: All fish must be taken with a fishing rod, line and hook with artificial bait only on the days of the tournament during tournament hours. Participant must fish from a human powered kayak, only ONE angler in the kayak. ONLY water craft listed as a kayak by the manufacturer of the vessel are eligible. No gas or electric motors are allowed! Absolutely no other method will be permitted. 5. Safety: A PFD must be either worn or on board each watercraft in accordance with state regulations where you are fishing. Safe boating conduct must be observed at all times. 6. Sportsmanship: Sportsmanship, courtesy, safety and conservation are expected from each angler. Any infraction of these fundamental sporting principles may be cause for disqualification. All participants must follow the DNR regulations in effect on the waters they are fishing. 7. Fishing Boundaries: Fish must be caught in the waters of Minnesota, Wisconsin, North Dakota, South Dakota or Iowa. 8. Weather: Anglers are to exercise their own best judgment for safety when considering whether to fish or not. 9. Cheating Inquiries: Any inquiries of cheating will be handled by Tournament Officials, and polygraph tests may be used to settle any cheating disputes. The challenging party agrees to pay for polygraph test costs. Challenging party agrees to be identified as the party making any accusations. 10. Prizes: First place winner will work with tournament director to select $100 worth of MNKFA kayak fishing items in-stock at the close of the tournament. 11. Waiver: Submitting the entry form constitutes your agreement to ALL rules, regulations, waivers, terms and conditions, liability acknowledgement, otherwise the angler is ineligible to participate. 12. Ties: In case of a tie, the first fish submitted gets preference. 13. Your entry: You may NOT buy, sell, trade, swap, give away or pass on tournament entry spots. ONLY MNKFA tournament officials can authorize who is officially entered/registered in our events. NOTE: Rules and regulations can change at the discretion of the MNKFA board and the tournament director to make things as fair as possible to all entrants or sponsors. Once the tournament has started, submit your entry via email. Your entry will be reviewed and MUST meet all the rules for acceptable entries. This page will be updated when the tournament judge has time. The top 3 current entries will be posted with a date on this page and on facebook. Be patient after you submit your entry. We’ll add you on the list as soon as we can. We might be out fishing, eating supper or something. Your entry should show within 24 hours or so. PLEASE DO NOT SUBMIT MULTIPLE ENTRIES! STOP!!! DO NOT SUBMIT ANOTHER ENTRY IF YOU ARE ALREADY ON THE LIST!!! Just complete and send this form. All entrants agree to the rules, waivers & liability release on the MNKFA event web page. SEND YOUR ENTRY FORM ABOVE. WE’LL ADD YOU ON THE LIST BELOW. 40. Bradley Thatcher Harmony, ?? 71. Peter Yang Anderson, ?? 87. Robert Bahler Harmony, ?? Two (2) season long online contests open to all kayak anglers in MN, SD, ND, IA and WI! One for Bass, one for Northern Pike. Members have been asking for tournaments that are convenient to participate in if you don’t live in Twin Cities metro area. These contests allow you to fish anytime during the contest period that runs for five (5) months. You can fish any time, any day. Entrants are limited to people who kayak fish in the five states of MN, WI, SD, ND and IA. OmniaFishing.com is the first online retail experience to make tackle buying easier and more productive by providing custom tackle selections for specific waters. Omnia’s e-commerce website uses key attributes like water clarity, depth, seasonality, forage base – more than 23,000 individual data points — to provide specific tackle recommendations for selected fish species in that lake. Anglers then use a one-click response to purchase the recommended products or reject the recommendations and purchase gear they select themselves. 3. To redeem your ONE TIME 25% DISCOUNT use the code, MNKFA, at checkout. The code can only be used once per user, so take your time and take advantage of this generous offer. Add items to your cart or wish list and finalize your purchase when you are satisfied you have all the fishing items you’ll need. 4. When the tournaments are open, fish with any artificial lures you purchase from Omnia Fishing, submit pics showing the fish measured to MNKFA specs, show the Omnia purchased lure in the pic and we’ll validate your entry each time you submit. YOU MAY ONLY SUBMIT FISH PIC ENTRIES THAT SHOW FISH CAUGHT WITH LURES PURCHASED FROM OMNIA FISHING. Any infraction of this rule disqualifies you from the contests. Your purchase from Omnia will be verified to your entry. 5. All pics must contain embedded information on where the fish was caught and date, this information will not be shared. It is only used to validate geo location and date of catch. More information to come on how to do this. 1. Omnia TOOTHY TACKLE Season Long Contest, WIN A $300 Omnia Fishing Gift Card! 2. Omnia BIG BASS Lures Season Long Contest, WIN A $300 Omnia Fishing Gift Card! More detailed rules will be posted prior to the start of these contests, but what is shown now is very close to how these contests will run. Tournament Directors are David Mikkleson and Anthony Heimkes. Justin Squeaks Lang will be in charge of shirt distribution and help the tournament directors with other duties. Tim Johnson is the winner of the Facebook FREE entry give away, 1-21-2019. The guys who ARE staying still need to buy a day pass at the self pay box when they enter. Pay box is located at the main office when you enter. I believe it’s 5$ cash for the day. He is also going to call the CO officers to let them know we are good to do this. (Make sure we’ve got our permit on hand) they will probably pop in for fun to see the take off. He also said we have been one of the best groups to be there over the past few years. They always look forward to our arrival. himself and the staff can’t wait to see us. He wants to take some pictures of our group too. Saturday 5/18/2019, 7:00AM MANDATORY! : Check in at Lake Sakatah State Park boat launch for the MANDATORY Captain’s meeting where we’ll go over all the rules, fill out and sign waivers, and give you the control image. FAILURE TO BE AT THIS MEETING WILL RESULT IN DISQUALIFICATION! Saturday 8:00am: You can launch at any public launch on Lower Sakatah, Sakatah or Tetonka Lakes. You may NOT use any private access to the water for this tournament. ONLY public access that is available to all is allowed. Saturday 3:00pm: You MUST be physically back at Bullheads tournament headquarters. Turn in photos of your catch to the tournament director if you could not or did not email your photos. Have a soft drink and chit-chat with fellow kayak anglers. Check out the prize give aways. YOU MUST BE BACK BY THIS TIME. THIS IS MANDATORY. IF YOU ARE LATE, YOU WILL BE DISQUALIFIED. !!!SAFETY!!! Everyone is required to check back in with the tournament director at the end of fishing. You do not need to stay for the awards ceremony if you did NOT win a prize. We MUST know you are off the water safely. If you won a top prize, you MUST attend the awards ceremony to claim the prize. If you are not at the awards ceremony, your prize goes to the next highest finisher attending the awards ceremony. Saturday 3:00pm to 3:30pm: Have a drink and chit-chat with other kayak anglers. Saturday 3:30pm to 4:30pm: We’ll announce the winners of the tournament, then hand out early bird winner prizes, then give away lots of prizes as fast as we can. The rest of the weekend: You’re on your own. No formal plans. Find a new friend and go out fish with them! FIRST PLACE: Vibe Sea Ghost 130 Fishing Kayak, retail value with shipping $900 PLUS $25 cash. SECOND PLACE: Vibe Sea Ghost 130 Fishing Kayak, retail value with shipping $900. More prizes will be announced and added as we get closer to the event. These prizes may change. 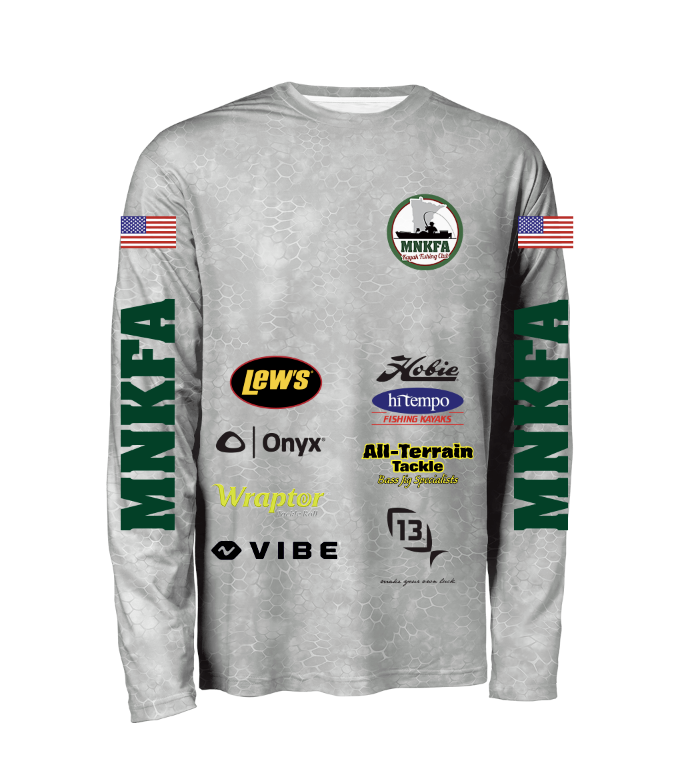 Everyone who is officially entered gets an MNKFA performance fishing shirt, $30 value! Interpretation of these rules will be left exclusively to tournament officials whose decisions are final. We (MNKFA) reserve the right to change, or add rules to ensure the competition is fair and equal to all participants and sponsors. 1. Registration: Registration for The Vibe Kayak Fishing Tournament will be announced a week prior to opening on facebook. Registration will end Friday, May 17, 2019 at 5:00pm central standard time or when all 75 spots are sold. 3. Scoring: The tournament will feature Bass (both large and small mouth only). 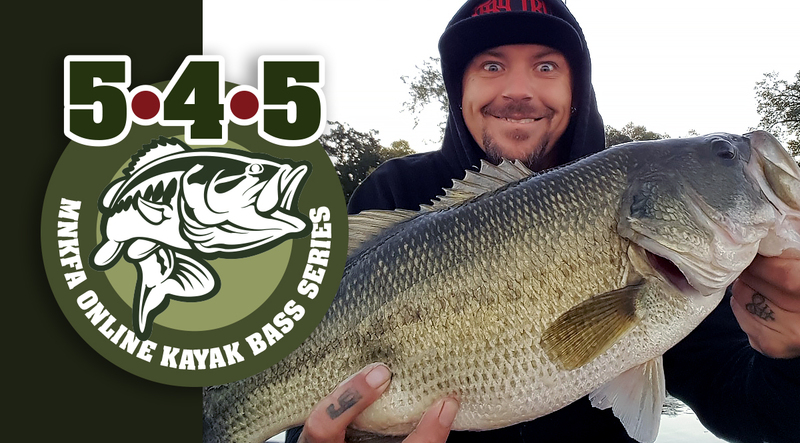 Longest combined length of FIVE (5) top bass WINS! You can upgrade your smallest fish submitted with a larger one at anytime during tournament fishing hours. 4. Start and Finish Times: Tournament fishing will begin at 8:00 am CST 05-18-2019. End of the tournament fishing will be 3:00 pm CST 05-18-2019. All photo entries must be emailed AND received by 3:00 pm CST 05-26-2019. If you’re not able to email, you must be in the line at tournament headquarters to give your submission to the tournament official by 3:00pm CST 05-18-2019. We are NOT responsible for any internet connectivity issues!!! Send your entries early. NO EXCEPTIONS!!! 5. Event Details: This event is an opportunity to spend time together as a group and get to know one another. There will be prizes and an award ceremony following the close of the tournament fishing at tournament headquarters. All winners MUST be present at the award ceremony or they forfeit any winnings. 6. Catch: All fish must be taken with a fishing rod, line and artificial lures on the day of the tournament during tournament fishing hours. Participants must fish from a human powered kayak, NO OTHER BOAT TYPES ARE ALLOWED. Only ONE angler may be in the kayak. No gas or electric motors are allowed! Absolutely no other method will be permitted. 7. Safety: We strongly encourage that a PFD be worn. Bring a whistle with as well, another practice that should be followed while paddling. Kayakers must be in accordance with state regulations. Safe boating conduct must be observed at all times. 8. Sportsmanship: Sportsmanship, courtesy, safety and conservation are expected from each angler. Any infraction of these fundamental sporting principles may be cause for disqualification. All participants must follow the DNR regulations in effect on the waters they are fishing. 9. Fishing Boundaries: You MUST fish and launch ONLY on Lower Sakatah, Sakatah or Tetonka Lakes. Plus, you MUST be at the Captains meeting in the morning at 7:00am AND back to tournament headquarters by 3:00pm. 10. Weather: Anglers are to exercise their own best judgment for safety when considering whether to fish or not. 11. Cheating Inquiries: Any inquiries of cheating will be handled by Tournament Officials, and polygraph tests may be used to settle any cheating disputes. Person(s) bringing allegations assumes all costs for any polygraph testing. Person(s) making any cheating allegations agrees that their name will be made public. MNKFA also may require winners to take a voice stress analysis test to confirm winners honestly can claim they followed all the rules. 12. Prizes: See top of this page for fishing tournament prizes, there will also be give away raffle prizes. 13. Board Member Participation: Board members, employees of sponsors or owners of sponsor companies are eligible to register, sign-up and win any prizes and subject to all the same scrutiny as any other entrant. In other words, if they win honestly, honorably and according to the rules, they win and deserve the appropriate gains from their investment (entry cost). 14. Waiver: Submitting the form and payment below is your agreement to the above rules, regulations, terms and conditions, liability acknowledgement, otherwise the angler is ineligible to participate. You MUST be over 18 years of age and show valid identification at the captains meeting to be officially entered in this event and sign a waiver in person at the captains meeting. Minors are eligible to participate only if accompanied 100% of the time during this event by a parent who signs a waiver for the minor. You MUST be present and on-time at the captains meeting in the morning. You MUST be present and on-time and back to tournament headquarters. You MUST follow all rules to win a prize in this event. Everyone that is officially entered (paid) for this tournament has a chance to win tournament prizes and will be entered to win prizes. NOTE: MNKFA board reserves the right to make changes to the rules at any time in the spirit of making the tournament more fair and equal to all participants. No refunds will be made for any reason once you have signed up. Names are added manually to the entrant list. The list below is the ONLY people allowed to fish in and for this tournament. We will try to reserve the group campsite at the State Park. More info to come. Cost for camping will be in addition to tournament fee. Learn the how, where and whys of deep water structure. Including map reading, structure interpretation, keying on the deep water crankbait techniques and tips. Some of the best anglers in our group have improved their results following Dean’s guidance…you don’t want to miss this! Date shown is a placeholder, actual date will be announced once the season is underway. Open to all kayak anglers in MN, IA, SD, ND and WI. You can fish any water in the 5 state area for a full month. We’ll use Tourney X to keep score. Your top 5 bass make up your score each month. Each month is a new tournament. You start with a score of zero and go catch your best 5 bass for that month. The first tournament starts in June 2019. Followed by a tournament in July, August, September and October. It’s 5 fish for 5 monthly tournaments for kayak anglers in the 5 state area. You can choose to only do one of them…or sign up every month. The payout each month will depend on the number of entries. We’re working up the full rules and getting things set-up. Watch the MNKFA Facebook page for more details. 1. Registration: YOU MUST SIGN UP BEFORE EACH MONTHLY TOURNAMENT STARTS. YOU must sign up and register on tourneyX.com , NOT MNKFA WEBSITE. WE WILL PROVIDE THE LINK WHEN READY. EVERY MONTH IS A NEW TOURNAMENT SO YOU MUST RE-ENTER AND REGISTER BEFORE THE NEW MONTH STARTS. 2. Requirements: A pdf image will be emailed to all participants prior to each month. There will also be a link on TourneyX.com in the tournament home page. this link will direct you to a PDF image as well. THIS PDF WILL HAVE A CODE ON IT EACH MONTH. YOU MUST HAVE THE CORRECT CODE FOR THE MONTH YOU ARE FISHING. THIS CODE WILL CHANGE EVERY MONTH. Print this letter size sheet, put it in a zip lock bag and place in the photo with your catch. (Only the tournament card with codes must be showing in your photo) Your photo must include a fish measuring device like a Hawg Trough or similar measuring device. YOUR “LOCATION SERVICES” MUST BE TURNED ON IN YOUR CELLPHONE WHEN TAKING PHOTOS FOR SUBMITTING. You may pinch the tail, the mouth of the fish can be open or closed and at the bottom of mouth touching the left edge of your measuring device. The ruler marks must be easily legible in the photo submitted. The printed tournament pdf image must appear in each photo submitted. ANY alteration that promotes products or services added to the control image will be immediately disqualified! Failure to include this control image will disqualify your entry. For further information on photo measuring requirements, click here (opens in a new window). 3. Start and Finish Times: Tournament will begin at 12:01 am CST ON THE 1ST DAY OF EACH MONTH (June-October). End of the tournament will be at midnight CST ON THE LAST DAY OF EACH MONTH. All photo entries must be SUBMITTED via the TourneyX website and received by the end of the tournament each month. We are NOT responsible for ANY submissions that are not in by midnight. We advise you to send earlier. NO exceptions will be made. 7. Fishing Boundaries: Fish must be caught in the waters of Minnesota, Wisconsin, North Dakota, South Dakota or Iowa. YOUR “LOCATION SERVICES” MUST BE TURNED ON IN YOUR CELLPHONE WHEN TAKING PHOTOS FOR SUBMITTING. 10. Prizes: The prizes for these 545 tournaments are CASH. Each month’s payout will change depending on participation numbers. The more entries, the more cash payout. We will pay out to the top 3 each month. A very small percent of your entry fee goes to TourneyX fees, and MNKFA operating cost. The rest will be payed back to the entrants in cash prize. 13. Your entry: You may NOT buy, sell, trade, swap, give away or pass on tournament entry spots. ONLY MNKFA tournament officials can authorize who is officially entered/registered in our events. MNKFA reserves the right to disqualify anyone who signs up, but has broken ANY MNKFA rules on any MNKFA media or events. NOTE: Rules and regulations can change at the discretion of the MNKFA board and the tournament director to make things as fair as possible to all entrants or sponsors or discipline bad behavior on the part of an entrant. Once the tournament has started, submit your entry via TOURNEYX.COM OR THEIR MOBILE APP. Your entry will be reviewed and MUST meet all the rules for acceptable entries. This page will be updated when the tournament judge has time. The top 3 current entries will be posted with a date on this page and on facebook. 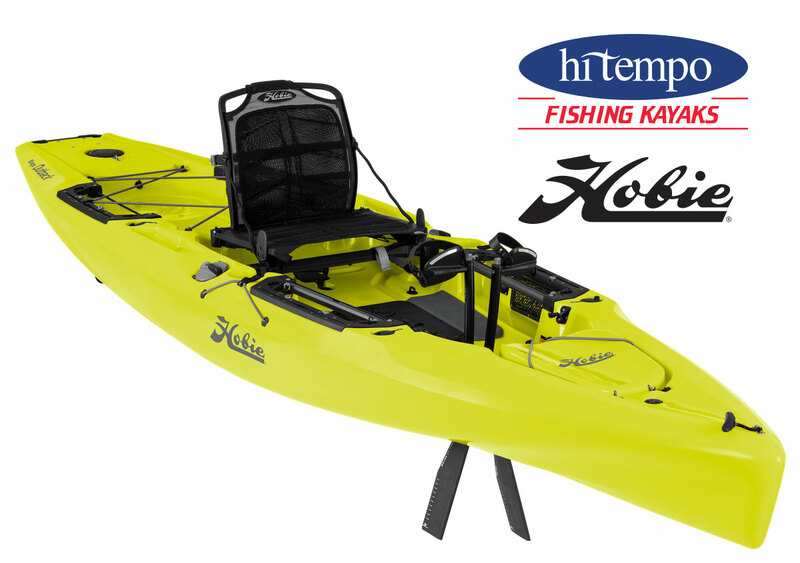 WIN THE ALL NEW 2019 HOBIE OUTBACK FISHING KAYAK! More prizes will be announced and added as we get closer to the event. Lake Koronis Information From Josh E.
I’ve fished it quite a few times. There are nice populations of both largemouth and smallmouth bass. There is a nice variety of structure also: rock piles, reeds, lily pads, islands. At almost 3000 acres, there are plenty of areas for people to fish. There are 4 accesses on the lake, with 3 of them having adequate parking. The lake is part of the crow river. It is possible to get from Koronis up to Rice Lake through the river. Wind could cause a problem, but that can happen about anywhere. The campground is nice and has RV sites, camping cabins, and tent sites. The one downside is that it does have Starry Stonewart. This is an invasive weed that is found in only about a dozen lakes in MN. It creates a matt of vegetation that is hard to pedal through. It is being treated on the lake, and doesn’t affect too many fishing areas. I wouldn’t worry about it too much, I would just emphasize the point of everyone doing a thorough job of cleaning everything off of their boats when they are done fishing. Tony or Grant will be reserving the shelter for this event. The earlier you sign up, the less you’ll pay! PLUS, you’ll be eligible for early bird raffles. Those who sign up early WILL benefit the most from this event. Saturday 6/8/2019, 7:00AM MANDATORY! : Check in at the Lake Koronis Shelter for the MANDATORY Captain’s meeting where we’ll go over all the rules, fill out and sign waivers, and give you the control image. FAILURE TO BE AT THIS MEETING WILL RESULT IN DISQUALIFICATION! Saturday 8:00am: You can launch at any public launch on Lake Koronis. You may NOT use any private access to the water for this tournament. ONLY public access that is available to all is allowed. Saturday 3:00pm: You MUST be physically back at the Lake Koronis Shelter tournament headquarters. Turn in photos of your catch to the tournament director if you could not or did not email your photos. Have a soft drink and chit-chat with fellow kayak anglers. Check out the prize give aways. YOU MUST BE BACK BY THIS TIME. THIS IS MANDATORY. IF YOU ARE LATE, YOU WILL BE DISQUALIFIED. Saturday 3:30pm to 4:15pm: We’ll have a barbecue dinner. Saturday 4:15pm to 4:45pm: We’ll announce the winners of the tournament, then hand out early bird winner prizes, then give away lots of prizes as fast as we can. 1. Registration: Registration for The Chris Nelson Memorial Kayak Fishing Tournament will be announced a week prior to opening on facebook. Registration will end Friday, June 8, 2019 at 5:00pm central standard time or when all 75 spots are sold. 2. Requirements: This tournament is strictly catch and release. Tournament control card will be supplied at the event. Control Card must be in the photo with your catch. Your photo must include a fish measuring device like a Hawg Trough or similar tournament-approved measuring device. The ruler marks must be legible in your photo submission. The Control Card must appear in each photo submitted. Failure to include this will disqualify your entry. All submissions MUST conform to current rules on this page: Fish measuring / pic submission rules. 3. Scoring: The tournament will feature Bass (both large and small mouth only). 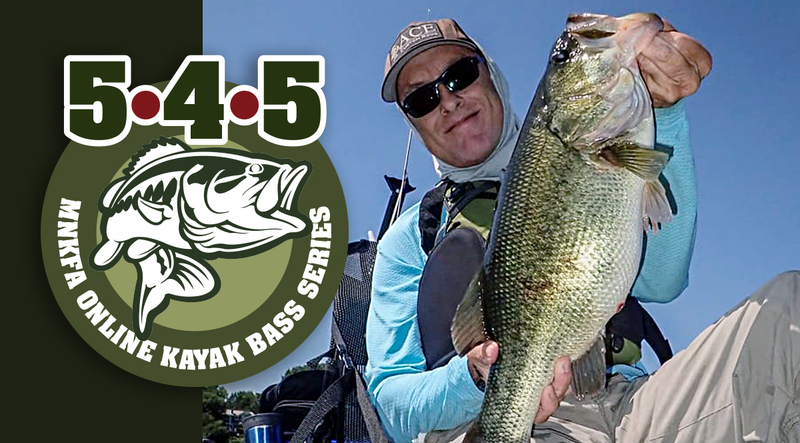 Longest combined length of FIVE (5) top bass WINS! You can upgrade your smallest fish submitted with a larger one at anytime during tournament fishing hours. Fish submissions can be sent to Anthony Heimkes at tonymnkfa@gmail.com or text to 612-669-5759. 4. Start and Finish Times: Tournament fishing will begin at 8:00 am CST 06-8-2019. End of the tournament fishing will be 3:00 pm CST 06-8-2019. All photo entries must be emailed AND received by 3:00 pm CST 06-8-2019. If you’re not able to email, you must be in the line at tournament headquarters to give your submission to the tournament official by 3:00pm CST 06-8-2019. We are NOT responsible for any internet connectivity issues!!! Send your entries early. NO EXCEPTIONS!!! 9. Fishing Boundaries: You MUST fish and launch ONLY on Lake Koronis. Plus, you MUST be at the Captains meeting in the morning at 7:00am AND back to tournament headquarters by 3:00pm. You will be responsible for making your own camping or accommodations. 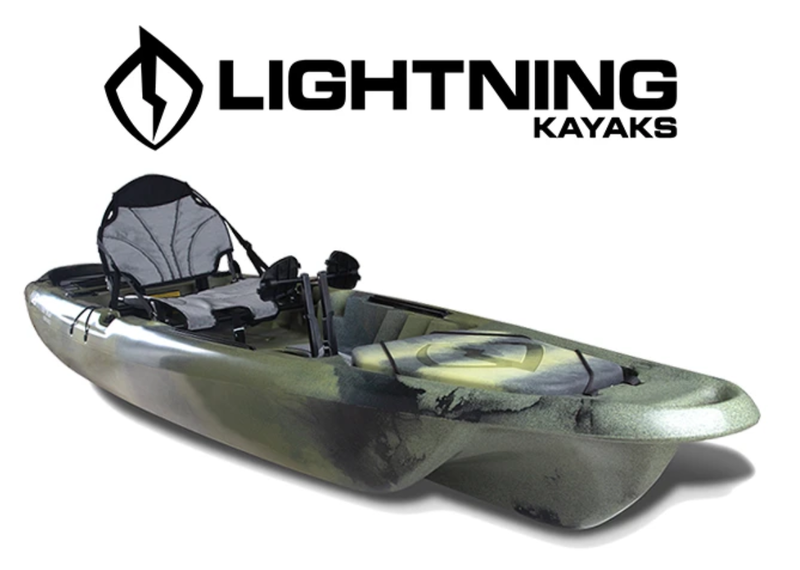 Win this new kayak made right here in Minnesota! Sign-up will open Saturday, February 16, 2019 at 9:00am! Link to Paypal payment will be posted on this page and our Facebook Page and Facebook Group. This tournament is limited to the first 50 paid entrants. Paypal will cut off entries when we reach 50 paid. Tournament scoring will use your two (2) biggest, culled toothy fish, combined length. Limited to Walleye, Northern Pike and Musky. There is a $5 parking fee if you are not camping. Honor pay box. Only beer and wine are permitted at rental facilities. Kegs and glass containers are prohibited at the rental facilities. Saturday 6/22/2019, 7:00AM MANDATORY! : Check in at the shelter headquarters for the MANDATORY Captain’s meeting where we’ll go over all the rules, fill out and sign waivers, and give you the control image. FAILURE TO BE AT THIS MEETING WILL RESULT IN DISQUALIFICATION! Saturday 8:00am: You can launch at any public launch on Eagle Lake. You may NOT use any private access to the water for this tournament. ONLY public access that is available to all is allowed. Saturday 2:00pm: You MUST be physically back at tournament headquarters. Turn in photos of your catch to the tournament director if you could not or did not email your photos. Have a soft drink and chit-chat with fellow kayak anglers. Check out the prize give aways. YOU MUST BE BACK BY THIS TIME. THIS IS MANDATORY. IF YOU ARE LATE, YOU WILL BE DISQUALIFIED. Saturday 2:00pm to 2:30pm: Have a drink and chit-chat with other kayak anglers. Saturday 2:30pm to 3:30pm: We’ll announce the winners of the tournament, then give away lots of prizes as fast as we can. 1. Registration: Registration for The Lightning Strike Kayak Fishing Tournament will be announced a week prior to opening on facebook. Registration will end 6/21/2019 at 5pm or when all 50 spots are sold. 3. Scoring: The tournament will feature Walleye, Northern Pike or Musky. Longest combined length of TWO (2) top fish WINS! You can upgrade your smallest fish submitted with a larger one at anytime during tournament fishing hours. 4. Start and Finish Times: Tournament fishing will begin at 8:00 am CST 06-22-2019. End of the tournament fishing will be 2:00 pm CST 06-22-2019. All photo entries must be emailed AND received by 2:00 pm CST 06-22-2019. If you’re not able to email, you must be in the line at tournament headquarters to give your submission to the tournament official by 2:00pm CST 06-22-2019. We are NOT responsible for any internet connectivity issues!!! Send your entries early. NO EXCEPTIONS!!! 9. 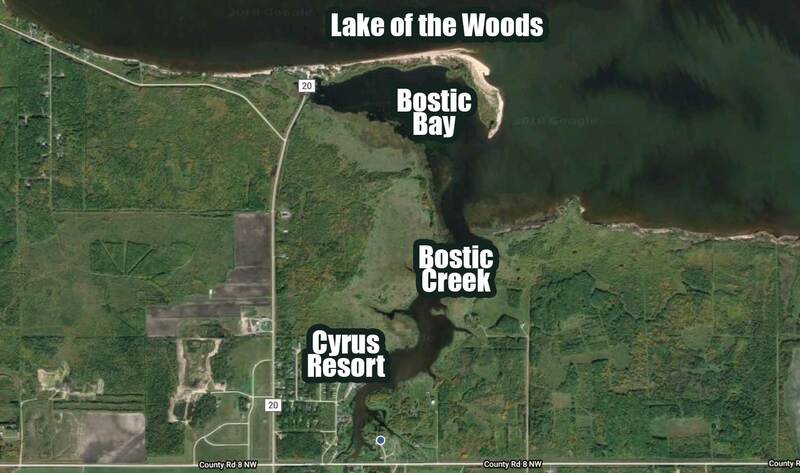 Fishing Boundaries: You MUST fish and launch ONLY on Eagle Lake. Plus, you MUST be at the Captains meeting in the morning at 7:00am AND back to tournament headquarters by 2:00pm. 14. Waiver: Submitting your payment is your agreement to the above rules, regulations, terms and conditions, liability acknowledgement, otherwise the angler is ineligible to participate. You MUST be over 18 years of age and show valid identification at the captains meeting to be officially entered in this event and sign a waiver in person at the captains meeting. Minors are eligible to participate only if accompanied 100% of the time during this event by a parent who signs a waiver for the minor. You MUST be present and on-time at the captains meeting in the morning. You MUST be present and on-time and back to tournament headquarters. You MUST follow all rules to win a prize in this event. No refunds will be made for any reason once you have signed up. Names are added manually to the entrant list. 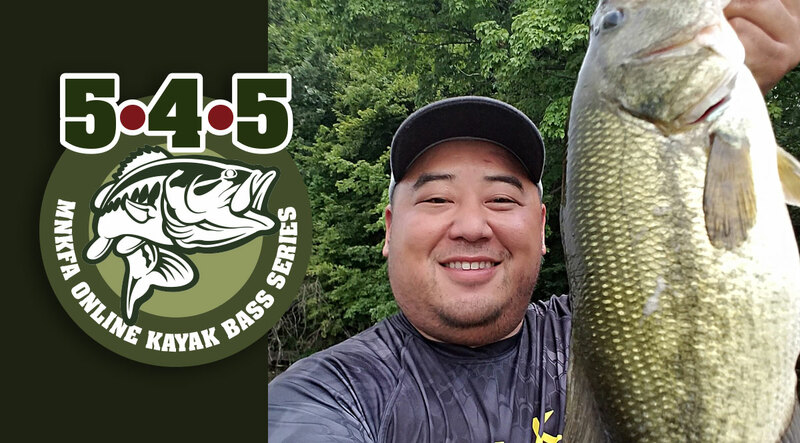 THE 545 MNKFA ONLINE BASS TOURNAMENT IS A 5 BASS LIMIT FOR 5 MONTHS. EACH MONTH YOU SUBMIT YOUR BEST 5 BASS FOR THAT MONTH. BEST 5-4-5! 1. Registration: YOU MUST SIGN UP BEFORE EACH MONTH. YOU must sign up and register on tourneyX.com , NOT THE MNKFA WEBSITE. WE WILL PROVIDE THE LINK WHEN READY. EVERY MONTH IS A NEW TOURNAMENT SO YOU MUST RE-ENTER AND REGISTER BEFORE THE NEW MONTH STARTS. 2. Requirements: A pdf image will be emailed to all participants prior to each month. There will also be a link on TourneyX.com in the tournament home page. this link will direct you to a PDF image as well. THIS PDF WILL HAVE A CODE ON IT EACH MONTH. YOU MUST HAVE THE CORRECT CODE FOR THE MONTH YOU ARE FISHING. THIS CODE WILL CHANGE EVERY MONTH. Print this letter size sheet, put it in a zip lock bag and place in the photo with your catch. (Only the tournament card with codes must be showing in your photo) Your photo must include ONE OF THE FOLLOWING fish measuring devices, Hawg Trough or Ketch measuring device. YOUR “LOCATION SERVICES” MUST BE TURNED ON IN YOUR CELLPHONE WHEN TAKING PHOTOS FOR SUBMITTING. You may pinch the tail, the mouth of the fish can be open or closed and at the bottom with the mouth touching the left edge of your measuring device. The ruler marks must be easily legible in the photo submitted. The printed tournament pdf image must appear in each photo submitted. ANY alteration that promotes products or services added to the control image will be immediately disqualified! Failure to include this control image will disqualify your entry. For further information on photo measuring requirements, click here (opens in a new window). 3. Start and Finish Times: Tournament will begin at 12:01 am CST ON THE 1ST DAY OF EACH MONTH (June-Oct). End of the tournament will be at midnight CST ON THE LAST DAY OF EACH MONTH. All photo entries must be SUBMITTED in TourneyX and received by the end of the tournament each month. We are NOT responsible for ANY submissions that are not in by midnight. We advise you to send earlier. NO exceptions will be made. YOUR “LOCATION SERVICES” MUST BE TURNED ON IN YOUR CELLPHONE WHEN TAKING PHOTOS FOR SUBMITTING. YOU MAY NOT FISH PRIVATE WATERS! IT MUST BE AVAILABLE TO THE GENERAL PUBLIC. 10. Prizes: The prizes for these 545 tournaments are CASH. (bonus for the first month) Each month will change depending on participation. The more entries, the more cash payout. We will pay out to the top 3 each month. A very small percentage of your entry fee goes to TourneyX fees, and MNKFA operating cost. The rest will be paid back to the entrants in cash prize. Goal is to encourage captains/team members to help each other, learn and have fun. The longest fish from each team member for a total of 3 per team (if each team member gets a fish). That way once 2 of the members have a big one, they will help the 3rd member catch a bigger one to better their team’s score. Team members must fish together, within 30 yards of each other, so they are not spread out, close together team fishing is the goal. Each person’s biggest fish for the total. All 3 must enter a fish, that way if one person hasn’t caught one, the other two will concentrate on getting them one. Biggest second fish of any team member if a tie . First fish must be sent in ASAP. Prizes for only the winning team. Prizes TBD. All team members must fish within 30 yards of each other. We’ll pick numbers and start teams off every minute, after the captain’s meeting (7AM). All participants will get a set of Funk Buster jigs. Subway sandwiches and soft drinks after fishing. Exact details to come. Will be limited to 25 people. 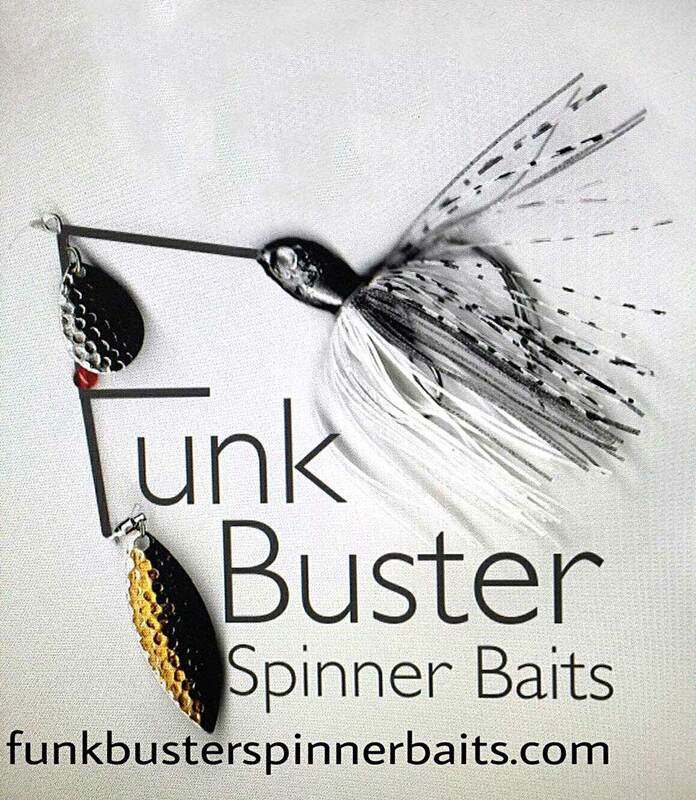 We’re hoping to be able order baits sets from Funkbusters. We have the shelter reserved and we’ll have a lunch after we are all done fishing. We’ve changed up the format and rules this year! MNKFA can change the rules at any time for any reason to make the event better for all involved, entrants, tournament officials, sponsors and more. Prizes, entry fee and more to come soon. Spectacular views from anywhere along the nearly 1 mile of shoreline. A picnic shelter, large paved parking areas with hard surface paths, makes this an attractive site for your special events, family gatherings and company picnics. Part 1 is online. Starts 12:01am 8/24/2019 and ends 9/7/2019, 7am (time of captains meeting for part 2). During part 1, each team will work together to cull the biggest two (2) Pike or Musky their team can catch by fishing as a team or individually. You can use ANY legal artificial bait (NO LIVE BAIT, ARTIFICIAL ONLY) on the water you are fishing. You MUST submit all entries within 48 hours of being caught. NO HOLDING FISH TO THE END OF THE EVENT. Below is a sample how scoring could look after part 1. 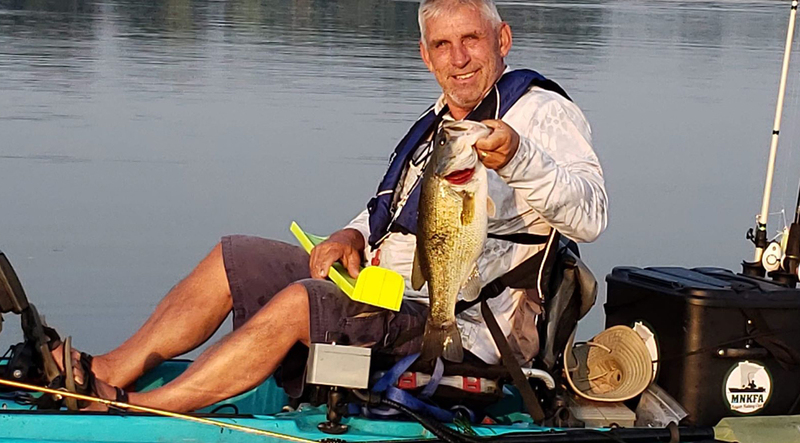 Saturday, 12:01am, 8/24/2019, to Saturday, 7am, 9/7/2019: Online fishing. Catch and submit pike or musky and submit big pike / musky to your Captain. Captains will determine if it is the biggest team fish online and that it meets all measuring pic requirements. Captain will submit to the tournament director / judge whose determination on size and acceptance is final. NO ARGUING OR COMPLAINING OR YOU WILL BE DISQUALIFIED from the entire tournament with NO REFUNDS. Part 2 is at West Rush Lake. During part 2, each team will work together to cull the biggest two (2) Pike or Musky their team can catch by fishing as a team or individually. You can use ANY legal artificial bait (NO LIVE BAIT, ARTIFICIAL ONLY) on the water you are fishing. Each team will continually submit their two (2) biggest pike and Musky over the fishing period. Below is a sample how scoring could look after part 2. Saturday 9/7/2019, 7:00AM MANDATORY! : Check in at West Rush Lake shelter for the MANDATORY Captain’s meeting where we’ll go over all the rules, fill out waivers, and give you the control image. FAILURE TO BE AT THIS MEETING WILL RESULT IN DISQUALIFICATION! Saturday 9/7/2019 8:00am: You can launch at any public launch on West Rush Lake. You may NOT use any private access to the water for this tournament. ONLY public access that is available to all is allowed. Saturday 9/7/2019 1:00pm: You MUST be physically back at the tournament headquarters. Turn in photos of your catch to the tournament director if you could not or did not email your photos. Have a soft drink and chit-chat with fellow kayak anglers. YOU MUST BE BACK BY THIS TIME. THIS IS MANDATORY. IF YOU ARE LATE, YOU WILL BE DISQUALIFIED. Saturday 9/7/2019 1:00pm to 2:00pm: We’ll have lunch for you at the tournament headquarters. Bring your appetite and some B.S. to share with others! Saturday 9/7/2019 2:00pm to 2:30pm: We’ll announce the scores of the combined online and destination tournament, then give away a few prizes as fast as we can. 1. 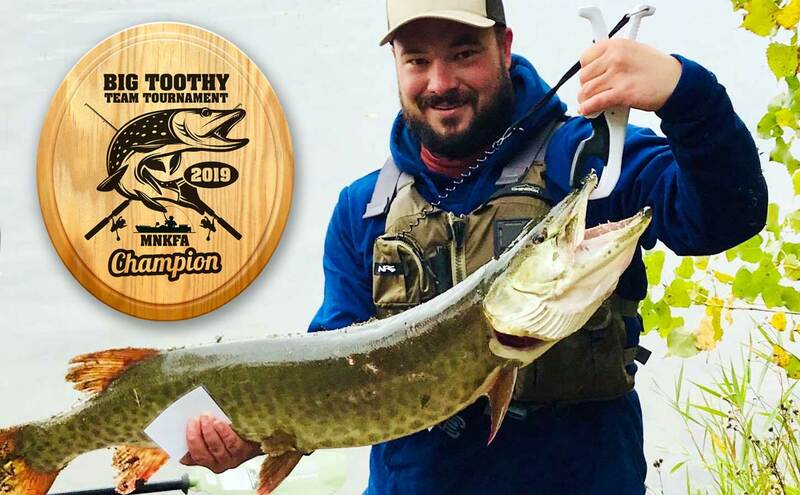 Registration: Registration for The 2019 Big Toothy Team Kayak Fishing Tournament closes 8/23/2019 at 5:00pm or when all spots are sold. Only 48 spots are available. 16 teams with 3 members per team = 48 spots. 2. Requirements: This tournament is strictly catch, photo and release. Tournament control image will be supplied prior to online fishing. Destination (part 2) control image will be given out at the event. Control image must be in the photo with your catch. Your photo must include a fish measuring device like a Hawg Trough for fish under 30″, Rapala measuring board for fish over 30″. You may pinch the tail and then release it, the mouth of the fish can be open and MUST BE AND RESTING AGAINST THE ZERO MARK ON THE RULER WITH NO HANDS OR ANY OTHER ITEM (FISH GRIPS, ETC.) COVERING THE MOUTH OR TAIL AREA OF THE FISH. The ruler marks must be easily legible in your photo submission. The Control Card must appear in each photo submitted. Failure to include this will disqualify your entry. 3. Scoring: The tournament will feature Northern Pike and Musky. Each team member will be scored on the longest pike or musky they submit that adheres to the rules. You can upgrade your smallest fish submitted with a larger one at anytime during tournament fishing hours, per part 1 and part 2 rules. Your total will be added to your team total to determine the winning team. 4. Start and Finish Times: Tournament fishing for Part 1 will begin at 12:01 am CST 08-24-2019. End of the tournament fishing for Part 1 will be 7:00am CST 09-7-2018. Tournament fishing for Part 2 destination will begin at 8:00am CST 09-7-2019. End of online tournament fishing for Part 2 destination will be Saturday, 1pm CST 9-7-2019. All entry submissions MUST be received in the time periods defined above. We’re NOT responsible for any connectivity issues!!! Send your entries early. NO EXCEPTIONS!!! 5. Event Details: This event is an opportunity to spend time together as a group and get to know one another. There will be lunch and an award ceremony following the close of Part 2 at West Rush Lake headquarters. 6. Catch: All fish must be taken with a fishing rod, line and ONLY during tournament fishing hours. Participant must fish from a human powered kayak, NO OTHER BOAT TYPES ARE ALLOWED. Only ONE angler may be in the kayak. No gas or electric motors are allowed! Absolutely no other method will be permitted. 7. Safety: We strongly encourage that a PFD be worn. Bring a whistle with as well, another practice that should be followed while paddling. Entrants must be in accordance with state regulations. Safe boating conduct must be observed at all times. PART 1: You MUST fish and launch ONLY on lakes in MN, IA, WI, ND or SD. You may only access the lake, river or stream via a public access anyone can use. PART 2: You can only fish on West Rush Lake. 12. Prizes: See top of this page for fishing tournament prizes, there will be other prizes awarded based on how you place in the tournament. 14. Waiver: Submitting any form and payment for this tournament is your agreement to the above rules, regulations, terms and conditions, liability acknowledgement, otherwise the angler is ineligible to participate. You MUST be over 18 years of age and show valid identification at the captains meeting to be officially entered in this event and sign a waiver in person at the captains meeting. Minors are eligible to participate only if accompanied 100% of the time during this event by a parent who signs a waiver for the minor. You MUST be present and on-time at the captains meeting in the morning. You MUST be present and on-time and back to tournament headquarters. You MUST follow all rules to win a prize in this event. 15. Prize Winner Qualification: You MUST be in attendance at the post fish award ceremony for Part 2 to be eligible for any prizes that will be awarded or given away at that event. NOTE: MNKFA board reserves the right to make changes to the rules at any time in the spirit of making the tournament more fair and equal to all participants and sponsors. No refunds will be made for any reason once you have signed up. Names are added manually to the entrant list. It may take a day or so depending on what my social schedule looks like.